Whether it is Mast Holiday, Holiday Camps, Summer Holiday Destinations, Hill Stations, Summer Camping Destinations or Honeymoon Destinations in India….. Visit to know about best popular places for holidays, vacation & weekend breaks in India. Coorg (Kodagu) borders Kerala and enjoys moderate climate. 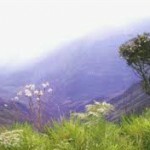 Besides the scenery is breathtaking, lush greenery, coffee plantations and the deep woods. There’s something for everyone. Madikeri, the headquarters is known as the Scotland of India, Kakabe produces honey, animals abound in Nagarahole national park, Cauvery Nisargadhama is a 2.5 sq. km. island in the middle of the River Cauvery. Situated in the Nilgiri biosphere reserve Ooty (Udhagamandalam) is known as the queen of the hill stations and sits some 2200 mtrs above the sea level. An added attraction for is the mountain train journey on a ratchet and pinion track from Kallar, and makes its way through hair-raising curves and dark tunnels and deep ravines with some of the most stunning views available. 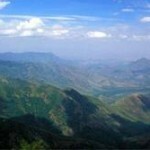 It is one of Tamil Nadu’s finest hill stations, some 7200 feet up in the Palani hills in the Western Ghats. Did you know? The Kurinji Flower is in full bloom around December once in 12 years. Last seen in 2006, the next one expected in 2018. Berijam Lake, Coakers Walk- If you wish to catch the scenic valleys, the best place. Oh yeah its close to the bus stand and do try out the telescope near the main gate. 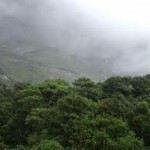 Bryant park and Kodai Lake, Silent valley, suicide point, Devil’s kitchen are some must see places. 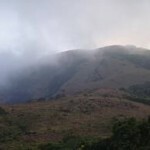 It is the most popular hill resort in Kerala. Kerala and greenery are synonymous. Some places of interest include Pallivasal, Chinnakanal, Anayirangal, the Tea Museum and the oddly named Top Station – the highest point on the Munnar-Kodaikanal road. Heaven on Earth. Insurgency and political turmoil haven’t taken its toll. She is as beautiful as on the day she enthralled Jahangir into saying: “Agar Firdaus bar ru-e zamin hast. Hami asto. Hami asto. Hami ast.” – Farsi for – If there is heaven on earth, it is here, it is here it is here. He recited Kwaja Amir Khusrav. Be careful but do visit it once. A Dilliwala speaking about Shimla. 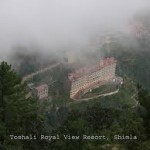 Well the ex summer capital, the most popular hill station in Northern India – simply by numbers. The mall looks a bit like bazaars of Delhi but just go out a bit and Shimla will still enthrall you. Take the train to chug into the Queen of hill stations and she will unravel her beauty. The city is named after goddess Shyamala Devi, an incarnation of Goddess Kali. Annandale, Jaku hill, Tara Devi and Sankat Mochan temple and Mashobra are some places of interest. 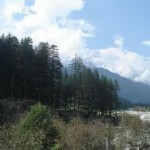 It is at the North end of the Kullu valley, some 250 km from Shimla. Legend says its home to the seven sages of Hinduism. The name suggests it – its named after the law giver saint Manu. 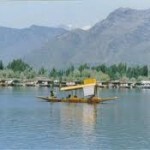 Tourism in Manali picked up after rise of militancy in Kashmir. It’s a place for adventure tourism with its ‘extreme Yak sports’ making it to the covers of the Time. Naggar fort, Hirimba Devi temple, Solang and Rohtang are some of the must see places around.